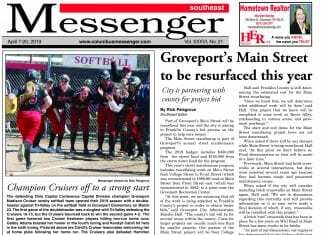 The Groveport Madison Cruiser varsity baseball team lost to Canal Winchester 2-1 in 10 innings in a game played in Groveport on April 11. Pictured here is Cruiser third baseman Robby Morgan fielding a ground ball and preparing to throw the runner out during the game. 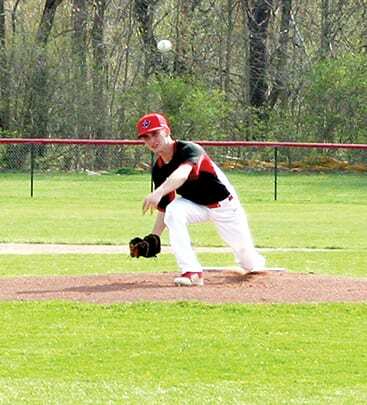 Cruiser pitcher Colin Rice just after he released a pitch against Canal Winchester. 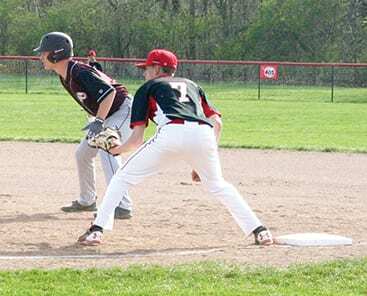 Cruiser first baseman Trey Mantle holds a Canal Winchester runner close to the bag. Next articleFun at the carnival!